With every complex project planning is essential to success. Organizing your pictures is a complex process, especially if there are lots of pictures and the current structure is chaotic. Therefore a good plan is essential to a good outcome when you embark on starting to organize your pictures. The first step in putting together a great plan is to understand your hardware components and their current purposes. Next you need to assess if some of your hardware devices need to be re-purposed. Read on to find out some easy questions to ask for determining where to start. E-mailing your favorite pictures is still a difficult task even today with so many programs that claim to organize your pictures. The reason it is difficult is pretty simple: in order to be able to send pictures by email you have to reduce their size and add them as attachments to the email. This task is somewhat simple if you only want to send one picture. However, if you want to send multiple pictures it gets very tedious and most people just don’t do it. Others send multiple emails containing their huge image files. In Picasa, however, it is very easy to send emails with your favorite pictures if you learn how to set it up. We take so many pictures these days and we have so many ways to publish our pictures that we are bound to end up with duplicates of our pictures. Modern image editing software programs make it very easy to edit our photos but in the process we can create duplicates of our images. With so many pictures it is very hard to remember what we do and this can bring confusion when we look at our pictures on our computers. We can end up with lots of duplicates. There are some simple things that can be done to avoid having duplicate files. 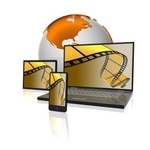 Read on to find out some simple ways to avoid having duplicate images on your computer. How often do you post images to Facebook? How about sending them by e-mail to your friends? Or maybe you want to publish pictures on the web. Regardless of your purpose, the ability to select your best pictures and export them in different formats for different purposes is crucial to any digital asset management tool. Picasa provides this functionality as well but has kept things simple which makes the whole process very fast. Combined with an intuitive way of selecting your best pictures, the export facility in Picasa makes it very fast and easy to select and send your best pictures. Read on to learn how to export your pictures with Picasa. Ever since digital photography has replaced film photography, we have too many pictures, and many of them are not great pictures. Therefore, it is very important to be able to select and group the best pictures out of many pictures. Picasa makes it very easy to accomplish this. Read on to learn out how to select and group your best pictures using Picasa. Sharing pictures of my children and special moments with friends and family is one of the great advantages of digital photography. I just love to be able to post some pictures online and have them instantly available to our extended family half way around the world. It’s just really cool! But when it comes down to choosing which online service to use, the choices are way too many. How do you pick the right service for you? Today, I’m starting my series of articles that will evaluate some of the popular sharing services available today. 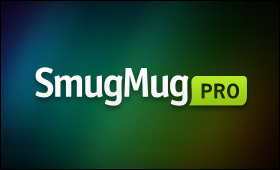 The first service available that I would like to talk about today is SmugMug. Recently I had the privilege of having an online interview with Sean Rogan from SmugMug. Read along to see why Sean thinks SmugMug is the coolest service for sharing your pictures online. I have been always writing about backing up your pictures as part of your picture organization strategy. You have to do it, period. That being said, how do you set up an automatic backing up procedure that will save you lots of headache? In addition, what if you have to upgrade your storage for more space and keep backing up everything? There are some simple things that can be done in order to simplify your backup strategy. We all know that computer technology is advancing very fast. It’s hard to determine however sometimes just how fast this technology is advancing. Yes, there are pictures online that will show you old computers and if you really look for it you will be able to find the major advances in computer technology. But when you upgrade your own computer you get the best picture of just how much is computer technology is really advancing. I am in the process of upgrading my computer and backup system and therefore I can provide a clear picture of this computer technology advancement. Just read on to see. I keep running into people who tell me about loving to take pictures of their family. It’s great, we all love our digital cameras. We can take lots of pictures of our loved ones. But most of those people who love to take pictures never think what might happen when all those pictures they have taken disapper? What happens when your computer crashes and all your pictures are gone? Do you have a plan? You should! Read this tutorial to find out how to set up a simple but efficient backup plan for your digital pictures. Almost everyone that owns a digital camera takes pictures on Christmas and New Year holidays…ok…lots of pictures. This is also the time when we make new year resolutions. Have you every made any resolutions about your pictures? I believe that there are two new year resolutions that anyone taking pictures should not only make but also make sure they keep.